Cava beach is situated on the western part of Babin Kuk peninsula and can be easily reached from every hotel in the area. 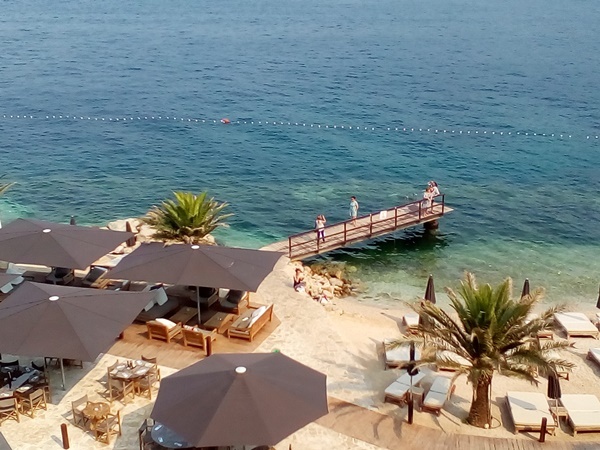 To reach the beach from other parts of Dubrovnik you need to take city bus no.6, get off at last stop, walk through the park and continue towards the sea. This pebbly beach is set in the stunning natural scenery and offers views of the Elaphite islands. 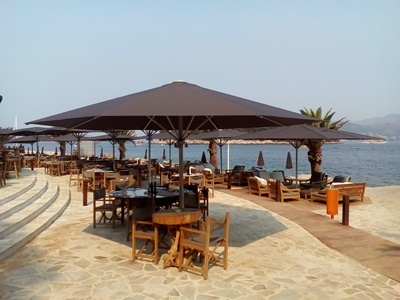 On the beach, there is the Coral Beach Club with a variety of amenities ideal for a pleasant day by the sea. They operate a bar and a restaurant with a wide choice of food and drinks. Beach is equipped with comfortable sunbeds and umbrellas which can be rented for a day. You will find there showers, toilets and changing cubicles. You can also get a massage on the beach. 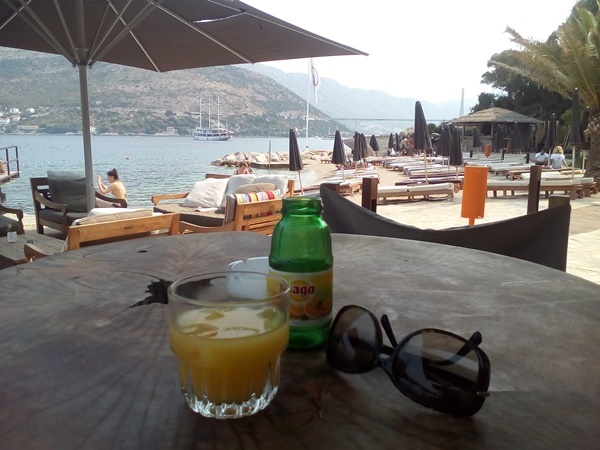 The beach bar with comfortable chairs is an ideal place for relaxing and enjoying the views of the sea, passing boats and the island of Daksa. They serve a range of soft drinks, wines, beers and cocktails. If you get hungry you can choose from delicious snacks, already set menus or a la carte dishes they serve in the restaurant. In the evening, the club turns into an intimate and magical venue ideal for relaxation with cocktails and culinary specialities, gala dinners, cocktail parties, weddings or similar events.